My ringside report. About Floyd Mayweather Jr. vs. Robert Guerrero. In Esquire. 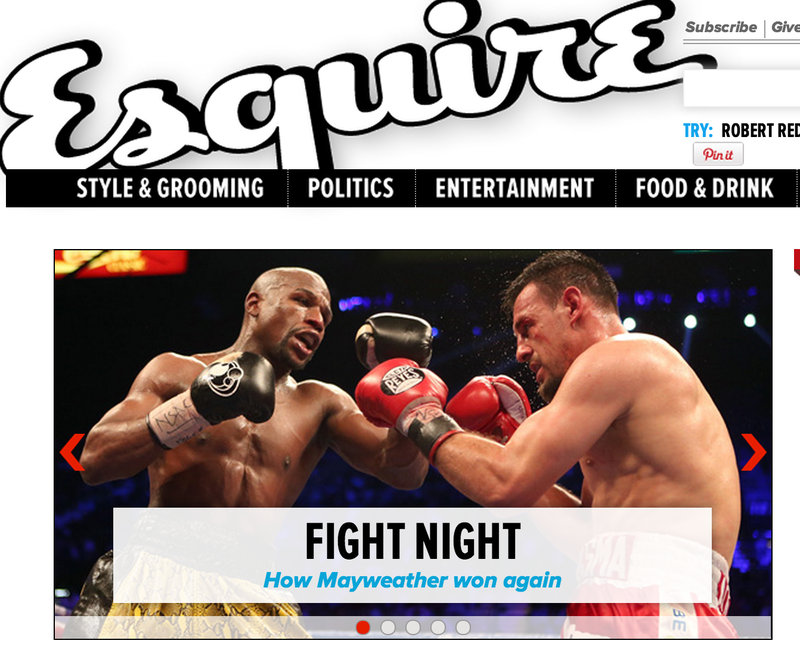 In words and (very cool) video: it’ll give you a sense of the sound and speed of a prize fight. This entry was written by Poole, posted on May 6, 2013 at 8:48 pm, filed under Boxing, Mayweather. Leave a comment or view the discussion at the permalink and follow any comments with the RSS feed for this post.